At the opening ceremony, Deputy Premier of the Republic of Uzbekistan and Minister of Agriculture and Water Resources Mr. Z. Mirzaev welcomed the participants on behalf of the Government of Uzbekistan. Mr. Mirzaev congratulated all participants and guests of the event with such a remarkable date, particularly noting and respecting the founders and veterans of the ICWC, who were at the onset of the Commission, and also all water professionals from the Central Asia, who worked through the years towards rapprochement of their respective nations. 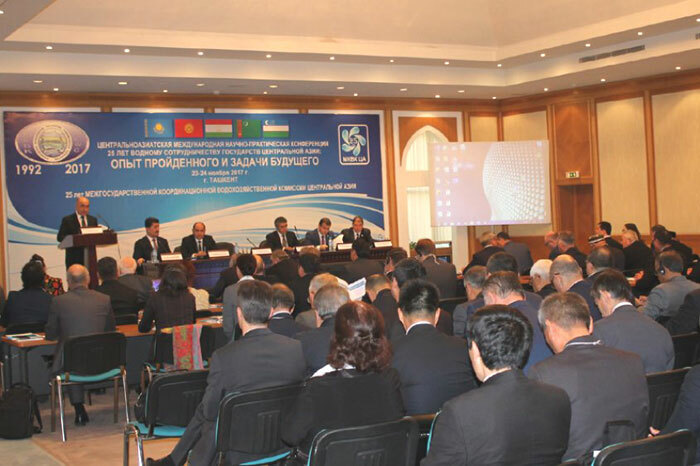 He also addressed key actions of Uzbekistan, at both international and national levels, directed towards achievement of efficient water use and mitigation of consequences of the Aral Sea catastrophe.